44 tiles from Salem china plates. 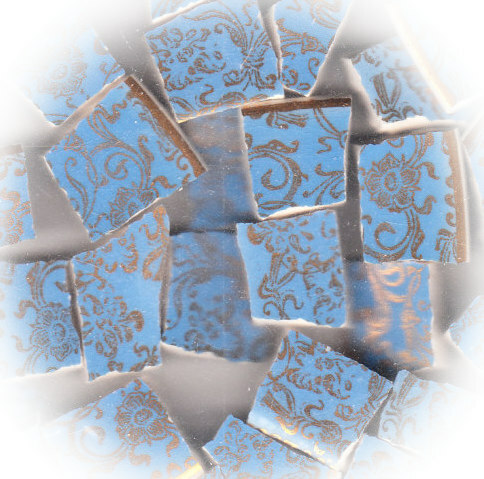 Gold filigree on sky blue background on white china. Mix of rim and non-rim tiles. No discoloration, no visible crazing on the front, lay flat.